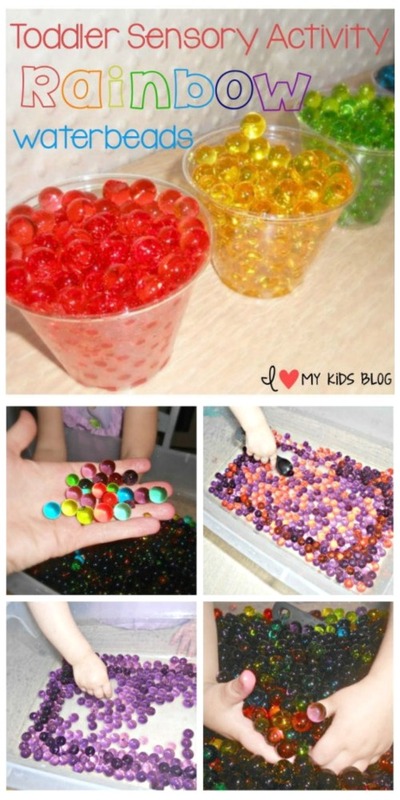 Water Beads sensory activity for hot summer days! 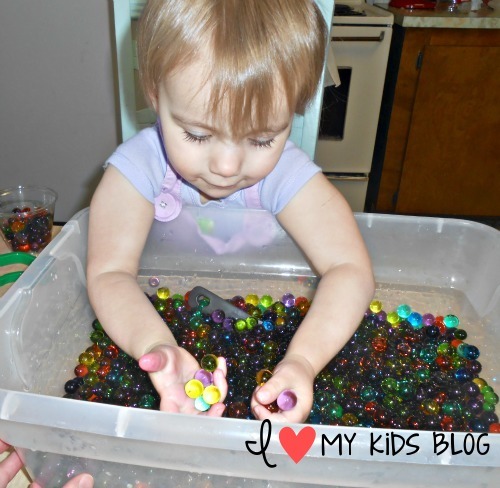 Water Beads Sensory Activity for Toddlers! A great way to keep cool during the summer! It’s getting hot out and that means one thing to me–water. I recently discovered water beads, and let me tell you, they are so cool! I had heard about them but no one told me they were completely awesome. 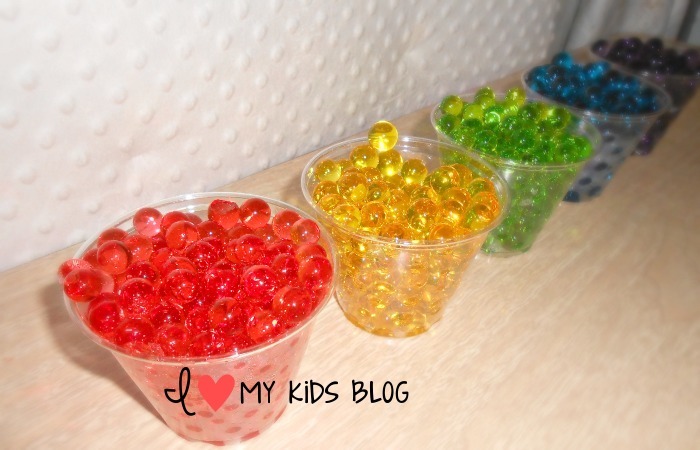 I decided to buy a pack of water beads and try them for a fun sensory activity for my daughter. Let’s just say she loves them and can play with them for hours at a time! I bought this pack in the above picture at Walmart for $3.88. Now, I know you are looking at this and thinking that is a rip off! I even thought so myself, but I wanted to try them so bad I didn’t really care with the price. I wanted to see if they were fun. The thing is the beads absorb water and sure enough makes hundreds of LARGE squishy beads. -Large cups–not the size I got! Optional–small cups, spoons, and toys. That is all you need. Pretty cool, and cheap right? Take your large cups and fill to the top with water leaving about 2-3 inches free. I used small cups and it was not the smartest idea! I had to switch them into bigger cups so they could get up to their appropriate size. Now it’s the waiting game. Patiently wait for your beads to grow. It’s really fun checking on them every hour to see how much they grew over the hour. 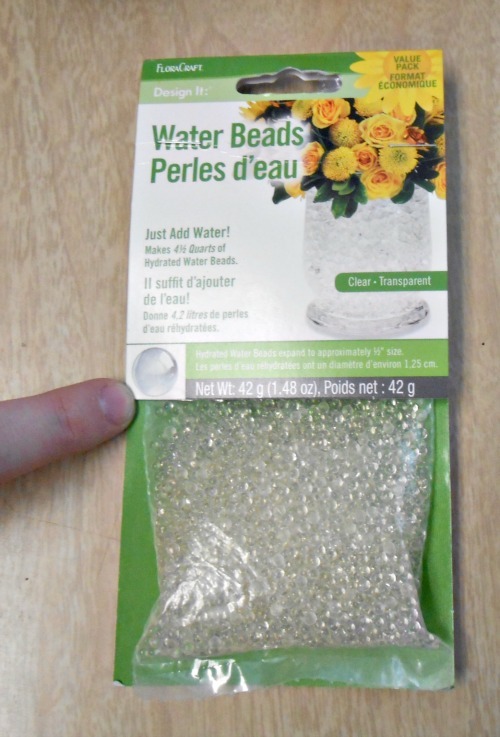 If the beads have absorbed almost all of the water and you think they can get bigger, simply add more water to your cup. 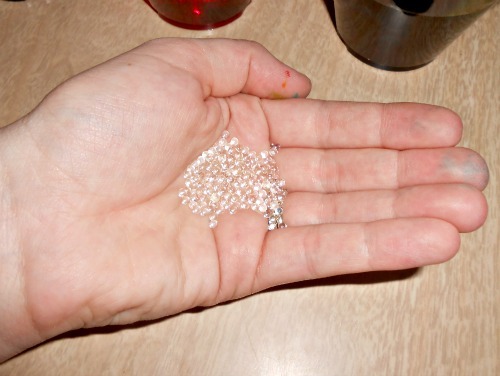 If there is no more room in the cup, transfer the beads into a larger cup or bowl. You can always dump water out if it’s too much. 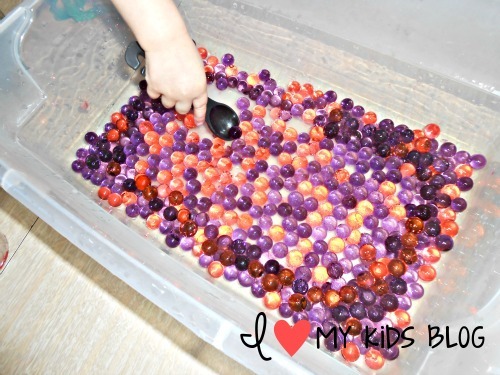 Dump out the excess water if there is any and enjoy playing with your water beads. 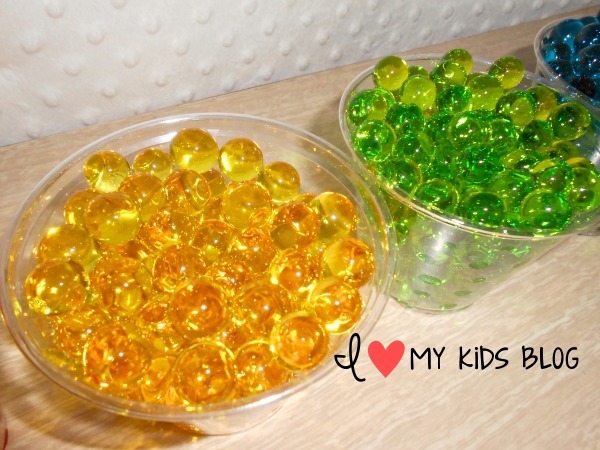 I mean let your kids enjoy playing with the water beads. It’s okay if you play with them, I did too. They’re just too squishy to not touch them at least one time. 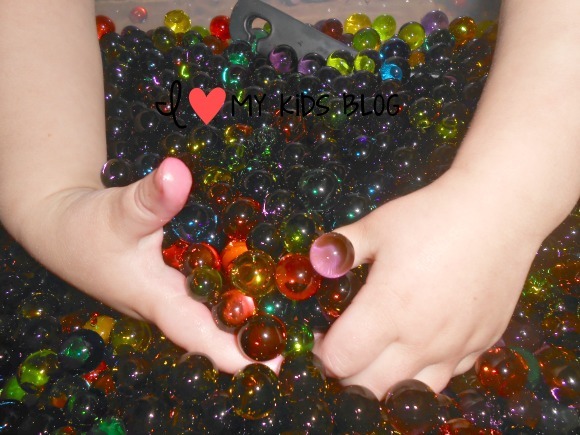 Put them in a large bin or small pool and find small toys, coins, etc. Put them in your swimming pool! This is great because they’ll never shrink as long as there is water in the pool. My daughter want to mix them all together. The beads t looked pretty black once they were all in the same bin. But she didn’t care. The colors do run together after a few hours, so if you don’t want to end up with blackish/brownish/dark greenish water beads, it’s best not to mix colors. 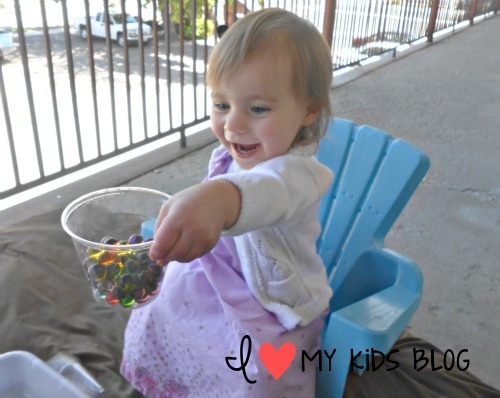 She loved putting the beads in the cup! We decided to go outside and play with them and had a blast with the warm breeze that day! We plan on playing with these outside every time this summer! It’s less of a mess because if the beads drop on the ground they’ll shrink back to normal size within a few hours from the hot sun. 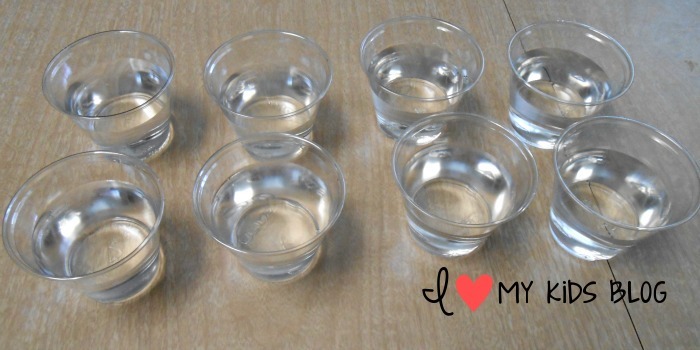 -If you plan on using the beads frequently (like every day or so) keep the beads in an inch of water at all times. 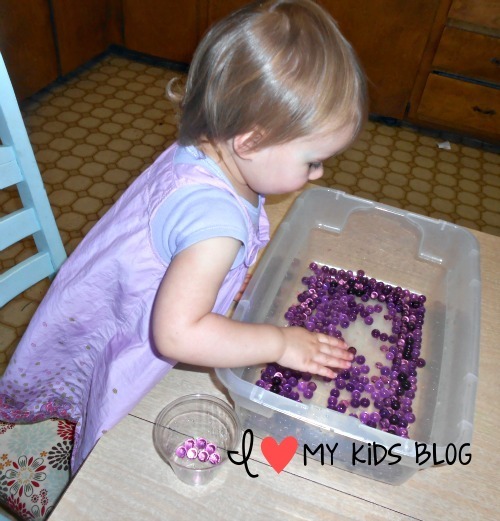 -If you won’t use them for a while then you can take a cookie sheet and put your water beads on there. Make sure they aren’t on top of each other or they won’t shrink quickly and may start to mold after a while. 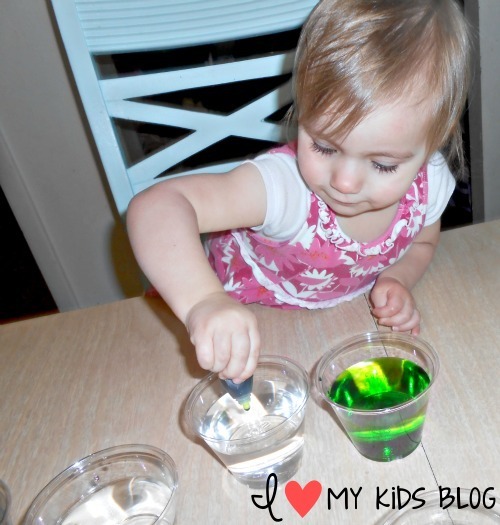 -If you used food coloring they color will go away each time you put them in water. So you’ll have to add food coloring every time if you want them to be colored and not clear. If you’re looking for more fun things be sure to check out this easy 2 ingredient moon dough playdough. These look fun. Thank you for sharing. 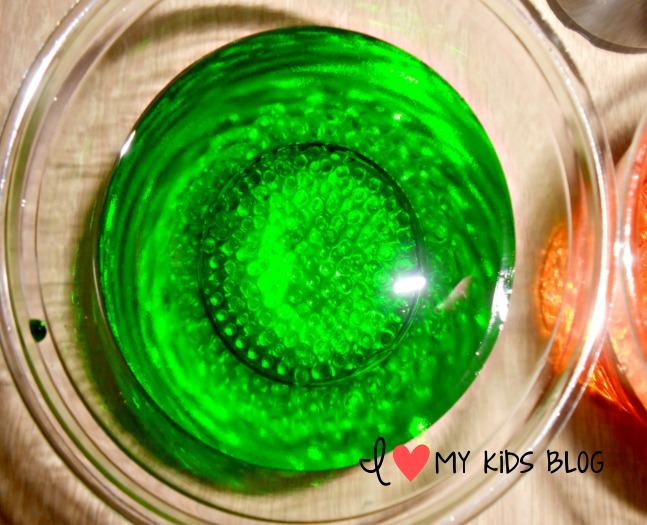 These are the neatest things, I’m going to get some I try out with my gandkids. This really does look like an activity that my young grandsons would enjoy!! They would love to sort by color! This is such a great idea! I can’t wait to try this with my nephew. Hi my name is abigail,I’m 9 years old,I’m about to tern ten in April.I love your Chanel and also like to do fun science stuff that is easy.Are the water bubbles eatable? Hey Abigail! The water beads are not safe to eat. Just have fun playing with them! Eating them is definitely not a great choice. Are the water bubbles safe to play with?